The Nortel Business Communications Manager, or BCM as it is widely known, delivers small/medium-sized businesses and branch offices the only converged voice/data solution in the industry, providing a choice of IP-enabled or pure-IP strategy. The BCM 50 is a fantastic way for small businesses to take advantage of IP phone technology (3-20 and up to 40 users). The BCM 450 is for larger businesses and extends the BCM VoIP experience to a larger scale (from 30 up to 250 users). 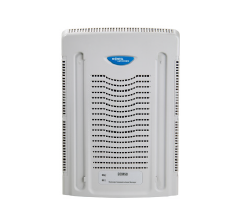 The Nortel Business Communications Manager 50 is an all-in-one, affordable platform for converged voice and data communications for small to medium business with 3 to 20 stations, yet can grow to serve more than 40. With an easy-to-use and highly flexible architecture, the Business Communications Manager BCM 50 enables small sites to benefit from convergence capabilities that were previously only available to much larger organizations. The BCM 50telephone system is a fantastic package that delivers small/medium-sized businesses and branch offices with converged voice and data solutions, allowing for a choice of an IP enabled or pure IP strategy. The Nortel Business Communications Manager 50 Telephone System offers a host of valuable features including IP telephony, unified messaging, call center applications, and many more. The Nortel BCM 50 can be expanded in numerous ways with Nortel BCM50 Key Codes. BCM 50 Key Code Authorization Licenses include: Digital Station Port Key Codes, Analog Station Port Key Codes, IP Telephony Client Key Codes,Analog Trunk Port Key Codes, Expansion Port Key Codes,Voice Messaging Key Codes, Unified Messaging Key Codes,VoIP Gateway Trunk Key Codes, Networking Key Codes, Fax Software Key Codes, Call Center Key Codes, LAN CTE Key Codes, BCM50 Intelligent Contact Centre and Network Configuration Manager Key Codes. The Nortel BCM 50/450 Media Bay Modules were designed to expand your BCM system for trunks and stations. 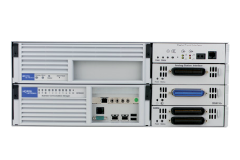 The BCM can be expanded in numerous ways with Nortel BCM 50/450 Media Bay Modules including: 4×16 Combo, 8×16 Combo, ADID4 and ADID8, ASM8+, CTM4 and CTM8, DTM, DDIM,BRI, DSM16+ & DSM32+, GATM4 and GATM8, GASM8, R2MFC, and FEM. 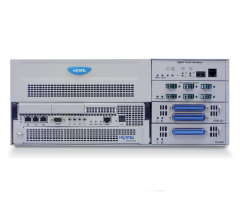 Nortel Avaya Media Bay Modules serve a variety of Expansion requirements. From the BCM 50 Expansion Unit to the larger basic BCM Expansion Cabinetand expansion cabinets with various Power Supply options, including the BCM Expansion Universal Power and BCM Expansion Redundant Power models. Expansion Cabinets connect to the main BCM system base unit with a DS256 cable. The Nortel Business Communications Manager 450 unified communications capabilities include unified messaging, message forwarding*, Meet-Me Conferencing, Computer Telephony Integration (CTI) and Intelligent Contact Centre functionality to connect people quickly – enabling businesses to gain a competitive edge in an environment where speed, simplicity and savings are integral to success. Other advanced applications of the BCM 450 include robust telephony features, voice messaging, IP networking, Internet access, mobility solutions and IP telephony. With an easy-to-use and highly flexible architecture, the Business Communications Manager 450 enables mid-size sites to benefit from convergence capabilities that were previously only available to much larger organizations. The Nortel Business Communications Manager 400 is an all-in-one platform providing business communication needs to small and mid-sized businesses or branch offices with 30 – 200 digital users or 90 IP telephone users. The Nortel BCM 400 delivers complete, integrated converged voice and data services – using traditional telephony or IP telephony, or a combination of both. Business Communications Manager 400 has the capabilities businesses need including telephony, unified messaging, multimedia call center, interactive voice response, IP routing and data services such as firewall, wireless, and more. The Nortel Business Communications Manager 200 is designed to supply complete voice and data services to smaller sites of 20 to 32 users in a compact, cost-effective, easy-to-manage platform. The Nortel BCM 200 telephone system is a fantastic package that delivers small/medium-sized businesses and branch offices with converged voice and data solutions, allowing for a choice of an IP enabled or pure IP strategy. The Nortel Business Communications Manager 200 offers a host of valuable features including IP telephony, unified messaging, call center applications, interactive voice response and many more. The Business Communications Manager offers key technologies that can help your business compete more effectively, including support for both IP and digital telephony, interactive voice response, auto attendant, unified messaging, and more. The Nortel BCM allows you to use Nortel Norstar T-Series digital phones or migrate to newer Nortel IP phones as your office grows. Cost-effective scalability from 10 to 200+ stations using a mix of digital and IP stations. Simplified network infrastructure cuts costs by connecting IP phones over the LAN wiring system, seamlessly extending features to multiple sites through IP connectivity and streamlining network management. IP trunking enables a business to optimize network bandwidth and reduce network costs. Redundancy options, including power, fans and hard-drive, automatically detect failures and switches over seamlessly without any loss of service. This optional feature provides protection where security and reliability are the key drivers to communications systems. Browser-based management simplifies installations, and provides an intuitive, wizards-based method of managing the network from any Web-enabled workstation. Unparalleled telephony features – with the most complete telephony feature offering for small sites, no business has to make compromises on how to process critical customer calls. Full suite of applications – including voice messaging, unified messaging, interactive voice response, multimedia call center and wireless, enable your business to streamline costs, be more productive, and better serve customers. The unified communications solution that gives you an edge on your competition! This entry was posted in 7000 Series digital phones, Avaya BCM, BCM 450, BCM 50, BCM 50 Key Codes, BCM Media Bay Modules, ip phone system, Nortel BCM, Nortel IP phones on November 20, 2012 by jjackson.